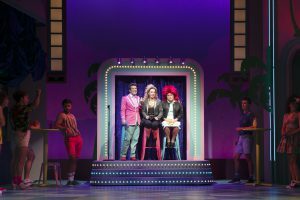 It was a fun filled return to the electric 80s and within minutes, we were up on our feet, ‘walking on sunshine’ and singing along to ‘I just can’t get enough.’ With a standing ovation like no other, Club Tropicana is the ultimate holiday musical which will have you clapping your hands, dancing in the aisles and cheering for more. My initial thoughts- please tell me I didn’t look like that back then… but sadly so. Underwear was outerwear, hair was indeed big with shoulder pads to match and inarguably glorious colour was most definitely the name of the game. 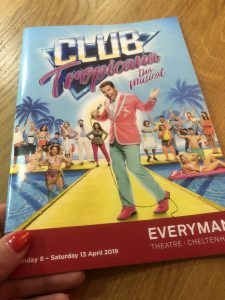 Luckily it was a trip down memory lane in more than one respect with the cast also taking to the stage as in vogue airline crew as we set off on our journey to Club Tropicana. Billed as the 1980’s musical equivalent of Love Island, Club Tropicana tells the sweet tale of a young bride and groom who get cold feet about their wedding so jet off to sunnier climes with their respective friends but don’t realise that they are staying in the same hotel. Will their paths cross? Will they finally make it down the aisle? Will the hotel survive sabotage the inspector’s visit and will it win the coveted prize? 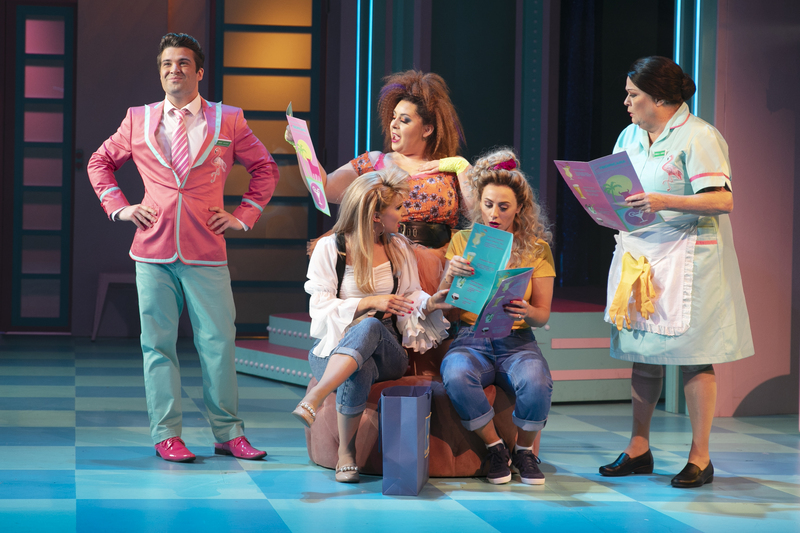 The audience warmed up quickly and it wasn’t long before the cast followed suit with Joe McElderry bouncing on to the stage in a role he was just born to play. Cheeky, funny, flamboyant and about as hilariously camp as you can get. “Are you ready for a good holiday?” he asked. Most definitely yes, although possibly not at Club Tropicana. It was like being on the set of Are you being served? 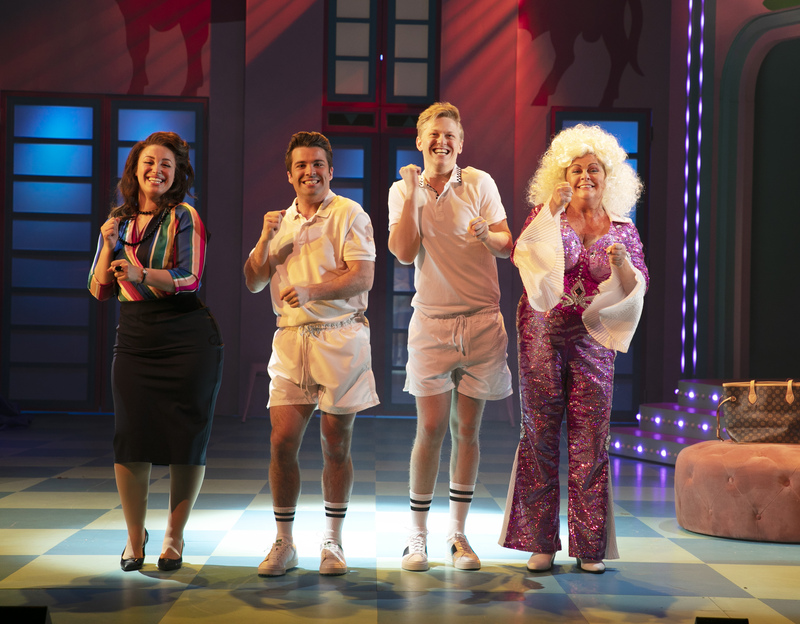 and Hi di Hi with a twist of Mamma Mia and the TV show Benidorm and if that wasn’t enough of an 80’s revival, then the tongue in cheek humour of the character of Consuela, played by the incredibly talented Kate Robbins, threw a Spanish Mrs. Overall into the mix. Just sheer comic brilliance! Olé! What it might have lacked in sleekness, it more than made up for in terms of entertainment value. 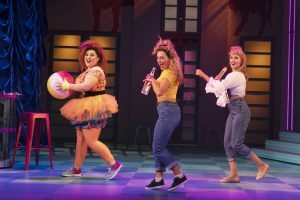 There were laughs aplenty and a feel good soundtrack with the greatest pop anthems and moving power ballads of the 1980’s, despite the notable absence from the playlist of the Wham smash hit Club Tropicana itself. In addition to Joe, the most impressive vocals came from the ladies with Kate as Consuela stealing the show with her priceless rendition of ‘I could be so good for you!’ Loved it! 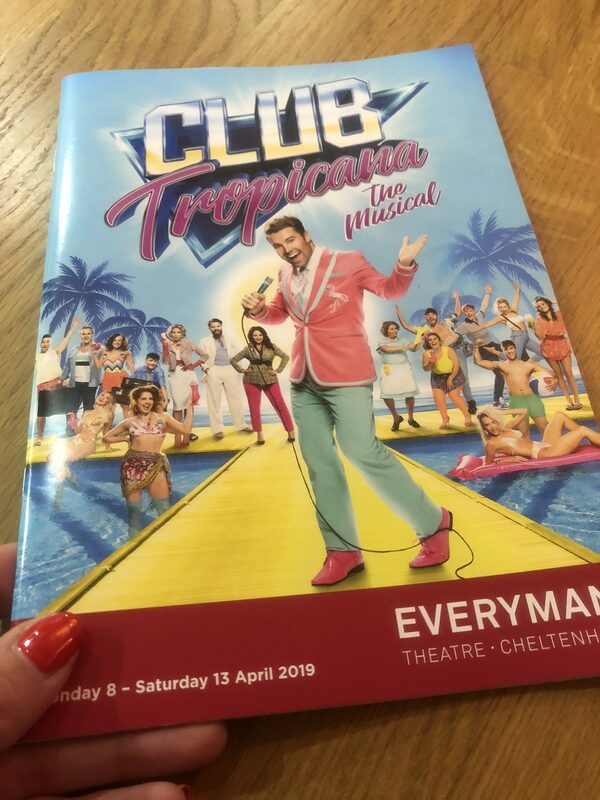 In Joe’s own words as Garry, ‘Here at Club Tropicana the drinks are free’- albeit just the first one! So don’t miss out, make sure you pick up your first class ticket today, your destination awaits.